Camping doesn’t necessarily mean roughing it in a tent and sleeping bag. RVers can enjoy many of the comforts of home including an RV mattress, electricity, running water and so on. And what better way for Rv enthusiasts to spend a vacation than at the seaside? Continue reading to see our list of top seaside RV campgrounds! 1) Bud’s RV Park in Gearheart, Oregon is for hunting and fishing enthusiasts. You can even get your licenses on site if you’re a beginner. There also stores within the park where you can also buy all of your fishing, crabbing and hunting supplies. You can also hire or rent boats for fishing. Bud’s RV Park includes sites and supplies for both tent and RV campers. The RV sites come with full hook-up to the utilities, picnic tables and patios. Local attractions include an aquarium, several golf courses and the Lewis and Clark National Historical Park. 2) Boyd’s Key West RV Campground in Key West, Florida, has the distinction of being the southernmost RV park in the United States. It is on the outskirts of the city, so people don’t have to try to navigate a great big RV in town. The park is within walking distance of the city and also conveniently near the city bus line. Amenities within the park include a heated pool, a dock and oceanfront campsites. 3) Big Basin Redwoods State Park in Boulder Creek, CA was established in 1902, making it the oldest state park in California. It is famous for its redwood trees, some of which are over 50 feet tall and thousands of years old. There are over 80 miles of trails on the premises, where visitors can hike, cycle or ride horses. You may also enjoy views of the Pacific Ocean, waterfalls and lots of birds. The coastal region of the park, Rancho del Oso, is 20 miles north of Santa Cruz. Its beach, Waddell Beach, is considered one of the world’s best places for kiteboarding and windsurfing. 4) Bella Terra of Gulf Shores describes itself as the “Emerald Coast’s premiere luxury outdoor RV resort.” Located in Foley, Alabama, it is minutes away from many golf courses and Gulf Shore beaches. It boasts 40 acres of land surrounding a lake stocked with fish. Amenities include a dog park, clubhouse with barbecue and fire pit, movie theater, fitness center and a pool with a hot tub. 5) The Pirateland Family Camping Resort is located in southern Myrtle Beach, South Carolina. It includes many different types of campsites, including RV sites with full hook-up. It offers access to the beach and has its own water park called the Pirates’ Oasis. The resort also includes playgrounds, basketball courts, and a mini-golf course. Campers can also rent kayaks or paddleboats. As you can see, there are many types of RV campgrounds that be found by the coast. Some are designed for families, while others cater to older adults. Some are rustic, and some are quite luxurious. 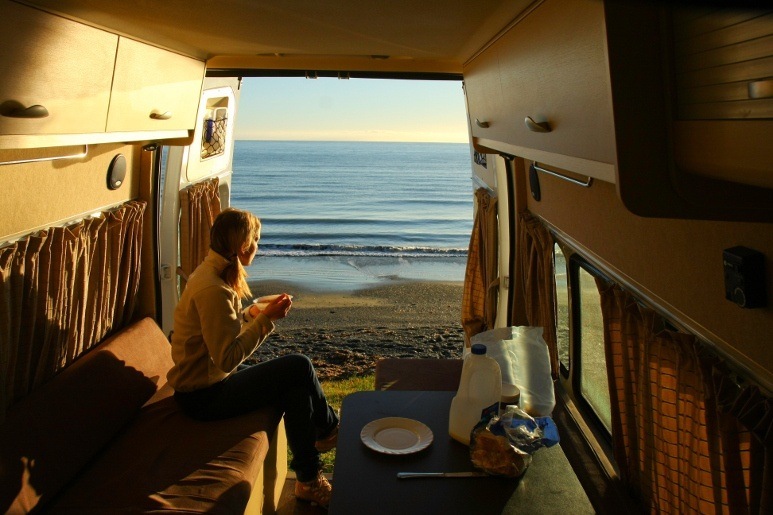 Practically everybody will find a seaside RV campground to suit their tastes and interests. Which is your favorite seaside RV park?